Our unique technological advances combined with ingenious engineering work have brought to life a range of compressors that far surpasses the legacy technologies both in performance and life cycle cost. Our Touch-Free™ Technology enables reliable and 100 % oil-free design and eliminates risks of compressed air contamination. 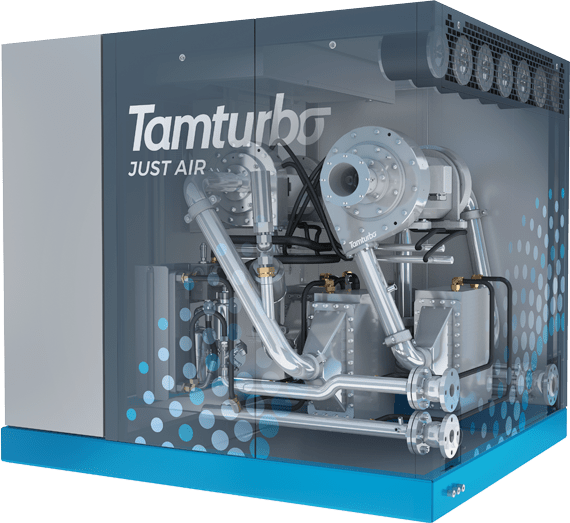 Tamturbo® compressors are optimized for a wide capacity range, without having to use the energy-wasting blow-out of compressed air. It is important to us that your compressor matches the actual air need always with the highest efficiency. Don’t compromise – choose 100 % Oil-Free and Care-Free Technology. Do you live and breathe compressed air? Do you want to be at the cutting edge of compressor technology and exceed yourself over and over again in search of excellence?